Since the onset of ME/CFS, I've had to let go of a lot of preconceptions about how life in your twenties should be. Where I had imagined myself at the peak of physical fitness, building a career and drinking cocktails at weekends, I'm more often found working on small craft projects in my pyjamas between naps and rest breaks. Getting my head around this deviation from 'the plan' has proved to be a real challenge and accepting the limitations my illness brings hasn't come easily. Relinquishing my independence, my job and a great deal of my social life to chronic illness has led me through countless cycles of grief. With every 'loss', I've entered into a process of denial, frustration and sadness before finally reaching some level of acceptance. For a long time, these cycles were almost back to back, with very little breathing room in between. Every tiny change from life as I knew it brought on a painful internal battle and new fears about the impact chronic illness was having on my identity. It's been a huge relief lately though to notice that those grief cycles are gradually getting farther apart and I've been feeling far more at peace with myself, my health and my current situation. 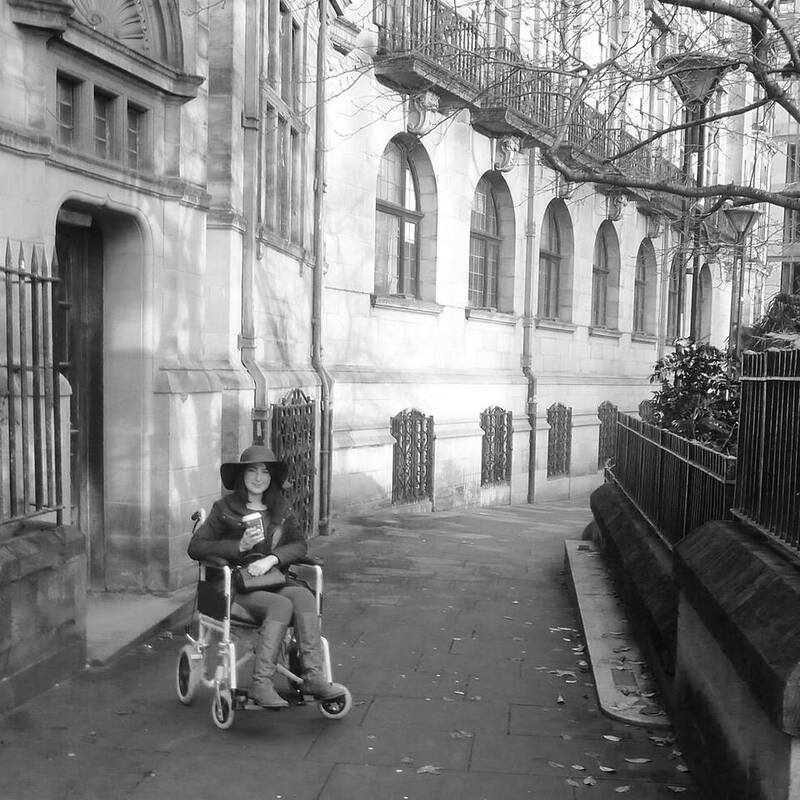 A major sign for me that I must be reaching a new level of acceptance was that my concern on updating my Facebook profile picture recently was not what anyone might think of the fact I'm in a wheelchair but what they might think of my slightly more daring choice of hat. Given that only a few months ago I felt very uncomfortable being photographed in my wheelchair, I think I'm definitely making progress. I wouldn't say that I have fully accepted my illness, nor am I sure I want to entirely, but I'm certainly far happier for not fighting it at every turn. As much as I don't want it to be forever, ME/CFS is part of my life right now and I'm learning to be okay with that.